On the 11th of September, I was in Thessaloniki, Greece to attend the meeting of the International Advisory Board of the South East Europe Research Center (SEERC), led by Lord Richard Best of the House of Lords at the UK Parliament in London. Following the advisory board meeting in the morning, the Hellenic Business Angels Network (HeBAN) of Greece welcomed a selected circle of local investors, entrepreneurs and (potential) business angels from the Thessaloniki community to an interactive talk with me about the characteristics and rules of business angel investing. 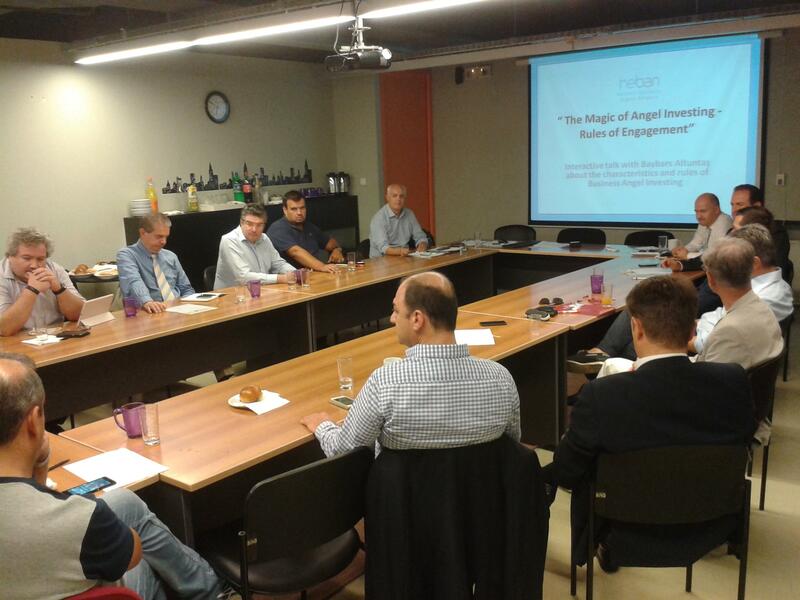 Under the theme of “The Magic of Angel Investing – Rules of Engagement”, the event was held on the premises of the University of Sheffield International Faculty, CITY College in Thessaloniki. In front of a keen and highly engaged audience, I gave a presentation about the characteristics and role of business angels in the economy and in society and about the mechanisms of business angel investment, drawing on practical examples from my own experience and multiple international engagements. An animated discussion with the participants revealed the hope that HeBAN and the local business angel communities in Athens, Thessaloniki and other Greek cities will play an increasingly important role in the entrepreneurial ecosystem of the country. 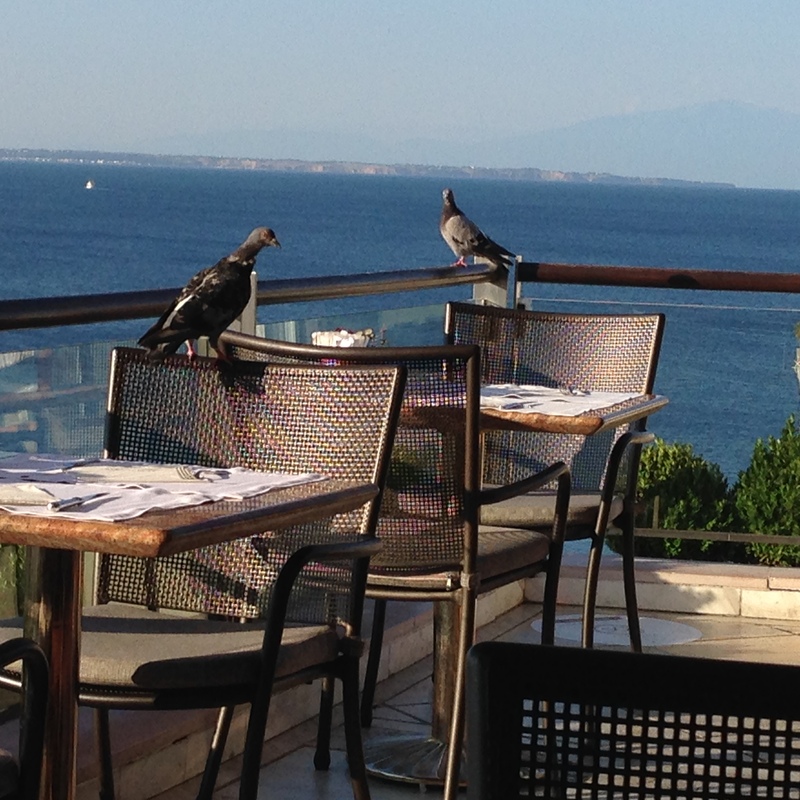 I loved Thessaloniki so much that I made a surprise plan for my family — to take them there for a weekend escape. According to World Bank statistics for the year 2013, the economy of Greece is the 43rd largest by nominal gross domestic product at $242 billion and 52nd largest by purchasing power parity (PPP) at $284 billion. 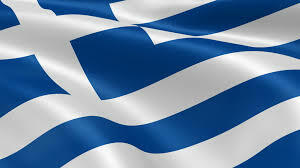 Greece is a developed country with high standards of living and a high Human Development Index. Its economy is comprised mainly of the service sector (85.0%) and industry (12.0%), while agriculture makes up 3.0% of the national economic output. 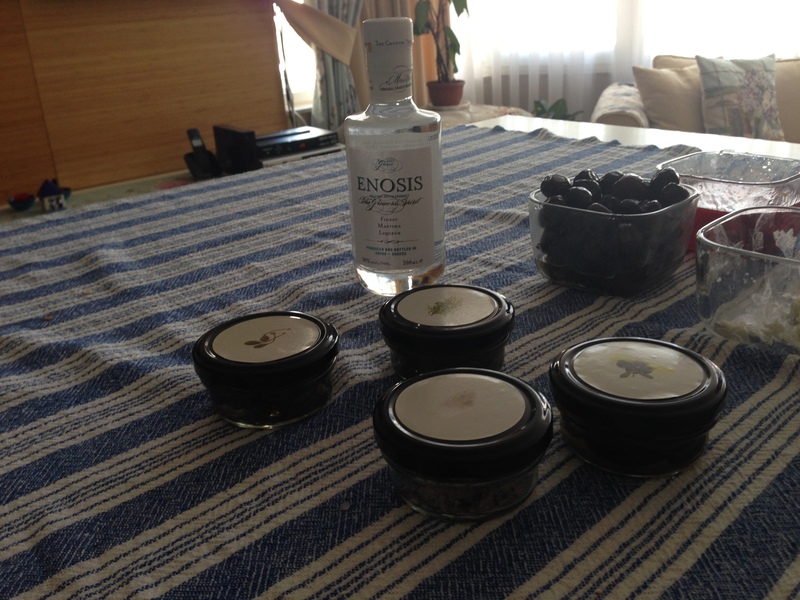 Important Greek industries include tourism. With 14.9 million international tourists in 2009, it was ranked the 7th most visited country in the European Union and 16th in the world by the United Nations World Tourism Organization. Merchant shipping represents 16.2% of the world’s total capacity, and the Greek merchant marine is the largest in the world, while the country is also a considerable agricultural producer (including fisheries) within the European Union. Greece was a founding member of the Organisation for Economic Co-operation and Development (OECD) and the Organization of the Black Sea Economic Cooperation (BSEC). In 1979 the accession of the country to the European Communities and the single market was signed, and the process was completed in 1982. Greece was accepted into the Economic and Monetary Union of the European Union on 19 June 2000, and in January 2001 adopted the Euro as its currency, replacing the Greek drachma at an exchange rate of 340.75 drachma to the Euro. Greece is also a member of the International Monetary Fund and the World Trade Organization and was ranked 24th on the KOF Globalization Index for 2013. By the end of 2009, as a result of a combination of international and local factors, the Greek economy faced its most severe crisis since the restoration of democracy in 1974 as the Greek government revised its deficit from an estimated 6% to 12.7% of gross domestic product (GDP). In early 2010, it was revealed that, through the assistance of Goldman Sachs, JPMorgan Chase and numerous other banks, financial products were developed which enabled the governments of Greece, Italy and many other European countries to hide their borrowing. Dozens of similar agreements were concluded across Europe whereby banks supplied cash in advance in exchange for future payments by the governments involved; in turn, the liabilities of the involved countries were “kept off the books”. According to Der Spiegel, credits given to European governments were disguised as “swaps” and consequently did not get registered as debt. As Eurostat at the time ignored statistics involving financial derivatives, a German derivatives dealer commented to Der Spiegel that “The Maastricht rules can be circumvented quite legally through swaps,” and “In previous years, Italy used a similar trick to mask its true debt with the help of a different US bank.” These conditions had enabled Greek and many other European governments to spend beyond their means, while meeting the deficit targets of the European Union. In May 2010, the Greek government deficit was again revised and estimated to be 13.6%, which was the second highest in the world relative to GDP, with Iceland in first place at 15.7% and the United Kingdom third with 12.6%. Public debt was forecast according to some estimates to hit 120% of GDP during 2010. As a consequence, there was a crisis in international confidence in Greece’s ability to repay its sovereign debt. To avert such a default, in May 2010 the other Eurozone countries and the IMF agreed to a rescue package which involved giving Greece an immediate €45 billion in loans, with more funds to follow, totaling €110 billion. To secure the funding, Greece was required to adopt harsh austerity measures to bring its deficit under control. On 15 November 2010, the EU’s statistics body Eurostat revised the public finance and debt figure for Greece following an excessive deficit procedure methodological mission in Athens, and put Greece’s 2009 government deficit at 15.4% of GDP and public debt at 126.8% of GDP making it the biggest deficit (as a percentage of GDP) among the EU member nations. In 2011, it became apparent that the bailout would be insufficient and a second bailout amounting to €130 billion ($173 billion) was agreed in 2012, subject to strict conditions, including financial reforms and further austerity measures. As part of the deal, there was to be a 53% reduction in the Greek debt burden to private creditors, and any profits made by Eurozone central banks on their holdings of Greek debt were to be repatriated back to Greece. Greece achieved a primary government budget surplus in 2013. In April 2014, Greece returned to the global bond market as it successfully sold €3 billion worth of five-year government bonds at a yield of 4.95%. Thessaloniki rose to economic prominence as a major economic hub in the Balkans during the years of the Roman Empire. The Pax Romana and the city’s strategic position allowed for easy trade between Rome and Byzantium (later Constantinople and now Istanbul) through Thessaloniki by means of the Via Egnatia. The Via Egnatia also functioned as an important line of communication between the Roman Empire and the nations of Asia, particularly in relation to the Silk Road. With the partition of the Roman Empire into East (Byzantine) and West, Thessaloniki became the second-largest city of the Eastern Roman Empire after New Rome (Constantinople) in terms of economic might. Under the Empire, Thessaloniki was the largest port in the Balkans. The city passed from Byzantium to the Republic of Venice in 1423, and was subsequently conquered by the Ottoman Empire. Under Ottoman rule the city retained its position as the most important trading hub in the Balkans. Manufacturing, shipping and trade were the most important components of the city’s economy during the Ottoman period, and the majority of the city’s trade at the time was controlled by ethnic Greeks. Historically, the important industries for the economy of Thessaloniki have included tobacco (in 1946 35% of all tobacco companies in Greece were headquartered in the city, and 44% in 1979) and banking (in the Ottoman years, Thessaloniki was a major center for investment from western Europe, with the Bank of Thessaloniki (French: Banque de Salonique), having a capital of 20 million French francs in 1909). 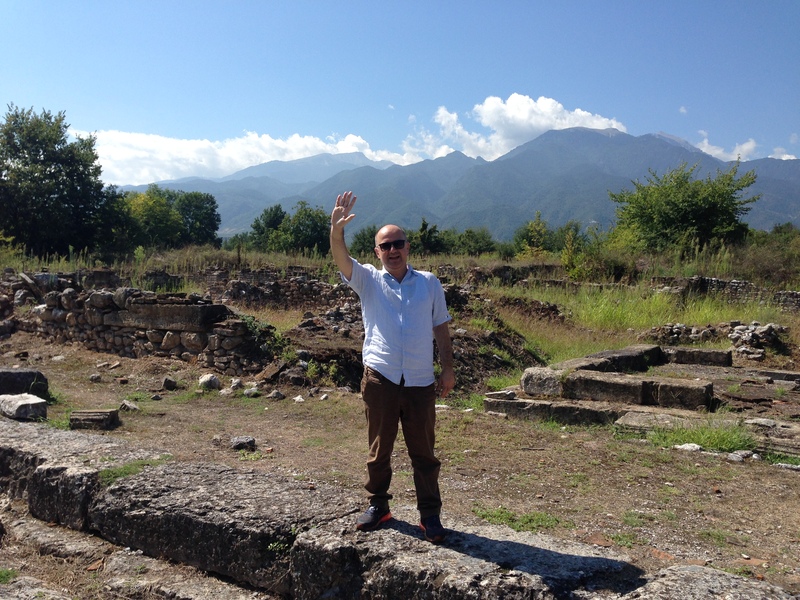 Dion (or Dio) is a village located at the foot of Mount Olympus in the municipality of Dio-Olympos. It is best known for its ancient Macedonian sanctuary of Zeus in the archaeological park and for the Archaeological Museum of Dion. The ancient city owes its name to the most important Macedonian sanctuary dedicated to Zeus (Dios, “of Zeus”), leader of the gods who dwelt on Mount Olympus. As recorded by Hesiod’s Catalogue of Women, Thyia, daughter of Deucalion, bore Zeus two sons, Magnes and Makednos, eponym of Macedonians, who dwelt in Pieria at the foot of Mount Olympus. In ancient times, a large altar was set up for the worship of Olympian Zeus and his daughters, the Muses, in a unique environment characterised by rich vegetation, towering trees, countless springs and a navigable river. For this reason Dion was the “sacred place” of the ancient Macedonians. It was the place where kings made splendid sacrifices to celebrate the new year of the Macedonian calendar at the end of September. In the Spring, purification rites of the army and victory feasts were held. The first mention of Dion in history comes from Thucydides, who reports that it was the first city reached by the Spartan general Brasidas after he crossed from Thessaly into Macedon on his way through the realm of his ally Perdiccas II during an expedition against the Athenian colonies of Thrace in 424 BC. According to Diodorus Siculus, it was Archelaus I who, at the end of the 5th century BC, when the Macedonian state acquired great power and emerged onto the stage of history, gave the city and its sanctuary importance by instituting a nine-day festival of games that included athletic and dramatic competitions in honor of Zeus and the Muses. The organisation was overseen by the Macedonian kings themselves. Philip II and Alexander the Great celebrated victories here, and Alexander assembled his armies and performed magnificent sacrifices here on the eve of his campaign to Asia in 334BC. SEERC (www.seerc.org) is the multidisciplinary, not-for-profit research centre of the International Faculty of the University of Sheffield, CITY College, located in Thessaloniki. It was established in 2004 as a truly international research institute with the mission to support the stable and peaceful development of South-East Europe by conducting pure and applied research in and for the region. Research at SEERC is organized along three research tracks: 1) Enterprise, Innovation and Development, 2) Information and Communication Technologies, and 3) Society and Human Development: psychology, politics, sociology and education. SEERC participates in and coordinates a great number of research projects and collaborations within international consortia. SEERC’s mission is to support the stable and peaceful development of South-East Europe by conducting pure and applied research in and for the region. To accomplish this, SEERC will employ the existing research capacities of the University of Sheffield and CITY College by facilitating collaborations between their research staff and by developing multi-disciplinary networks of researchers from across South-East Europe. To initiate common research by the University of Sheffield, CITY and other academic institutions in the SEE region. To disseminate important data and findings to interested members of the general public through open forums, and web and other media-based means. To promote cutting-edge methodology both within existing disciplines and in the development of multi-disciplinary perspectives through workshops and seminars. To assist in the integration of researchers from universities and research centres in the SEE region into networks of excellence. To draw PhD candidates from throughout the SEE region to the University of Sheffield and CITY and provide them with a rich and rewarding research environment at SEERC. SEERC is fortunate that South-East Europe has been for some time the focus of a large number of exceptionally talented and dedicated scientists, researchers, and policy analysts both within the region and throughout the world. The region has further benefited from the numerous high quality, forward thinking centres, institutes, journals, laboratories and think tanks that have chosen it as an area of concentration. The result of these efforts has been that the level of knowledge and data and calibre of analysis available to citizens, students, academics, policy-makers, politicians, NGOs, corporations and others over the past 20 years has increased dramatically. One of SEERC’s first tasks would be to draw together these vast quantities of data and interpretation in order to make them accessible to different audiences at different levels of sophistication and interactivity. The presence of SEERC would, of course, add the knowledge and talents of researchers and analysts from Sheffield, CITY and affiliated faculty from inside and outside the region. SEERC research faculty represent a wide array of disciplines — including economics, political science, international relations, social policy, computer science, history, sociology, anthropology, information technology, geography, geographic information systems, engineering, management, urban planning, cultural studies, public health, health care informatics, and education — and undertakes research at both micro and macro levels, employing quantitative and qualitative methods. 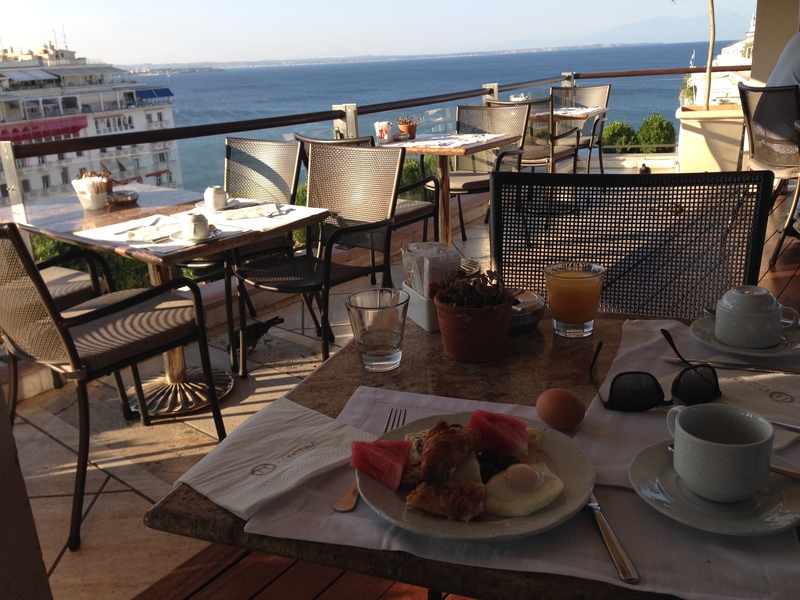 SEERC also has the practical advantage of being located in Greece, which allows it to function within the EU, while being physically located within SEE. In addition, SEERC serves as an information clearing house, distilling the essence of research on the region for use by researchers, policy makers, civil society and business in the region. The centre’s output includes timely policy briefs, electronic mapping, working papers and surveys of on-going and recently completed research in the area, as well as journal articles and monographs. Through its multi-disciplinary research activities and its archival, synoptic and dissemination efforts, SEERC positions itself as a cross-border institution aiming to empower those countries that are currently on the edge of Europe to collaborate in playing their full part in an expanded Europe. As a joint venture of the University of Sheffield and CITY College, SEERC benefits from a management and oversight structure that ensures close cooperation between the three institutions. 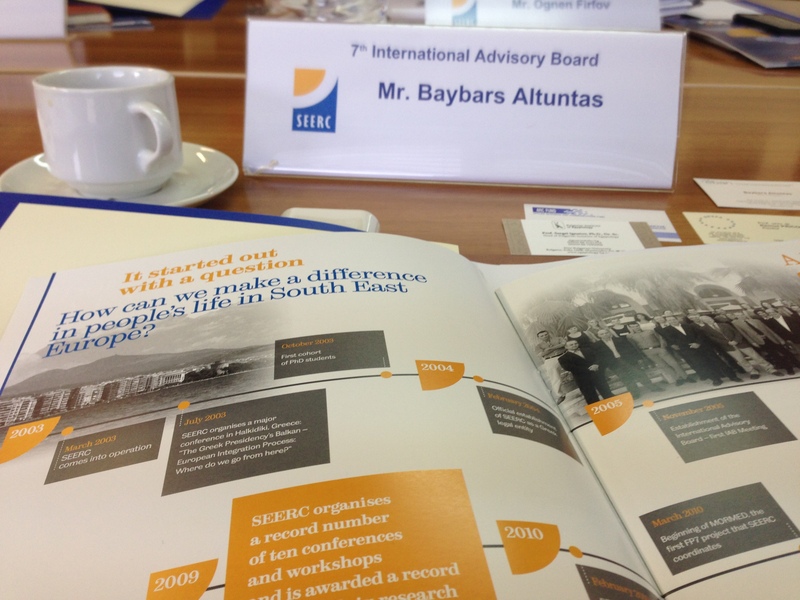 SEERC has also established an international advisory board whose members come from each of the 11 countries covered by SEERC’s mission as well as representatives from organizations and institutions that serve Europe and the SEE region. Yannis VERVERIDIS, Principal, CITY College-International Faculty of The University of Sheffield. 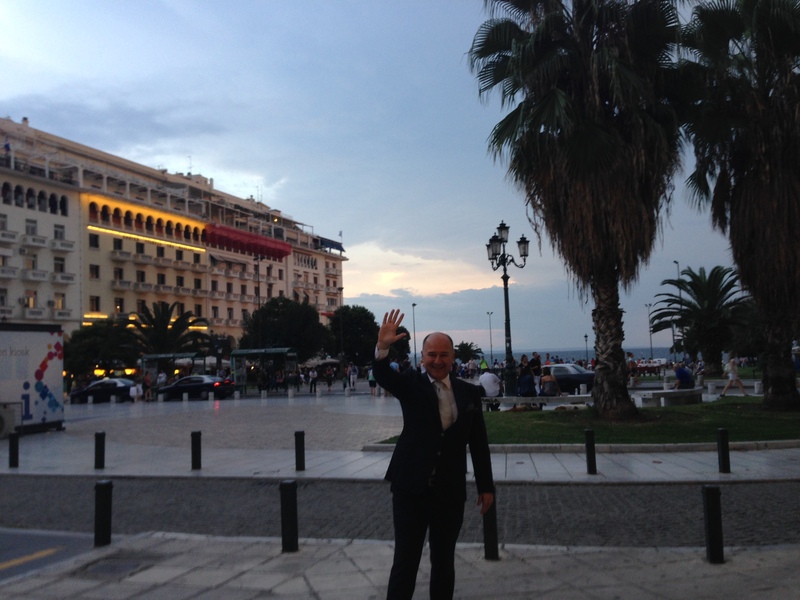 Panayiotis H. KETIKIDIS, Vice-Principal, CITY College, Chairman of the SEERC Management Committee. 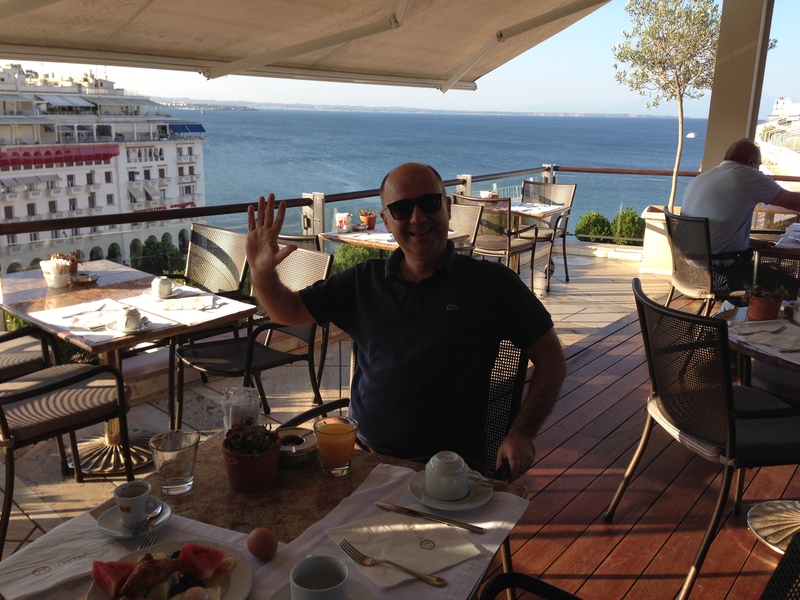 Baybars ALTUNTAS, Entrepreneur, Angel Investor, Author, Turkey. Zoya DAMIANOVA, Programme Director, Applied Research and Communications Fund (ARC), Bulgaria. Ognen FIRFOV, Chief Sales Director at Makedonski Telekom/Magyar Telekom/Deutsche Telekom Group, F.Y.R. Macedonia. Enver HOXHAJ, member of parliament, former Minster of Education and Foreign affairs, Kosovo*. 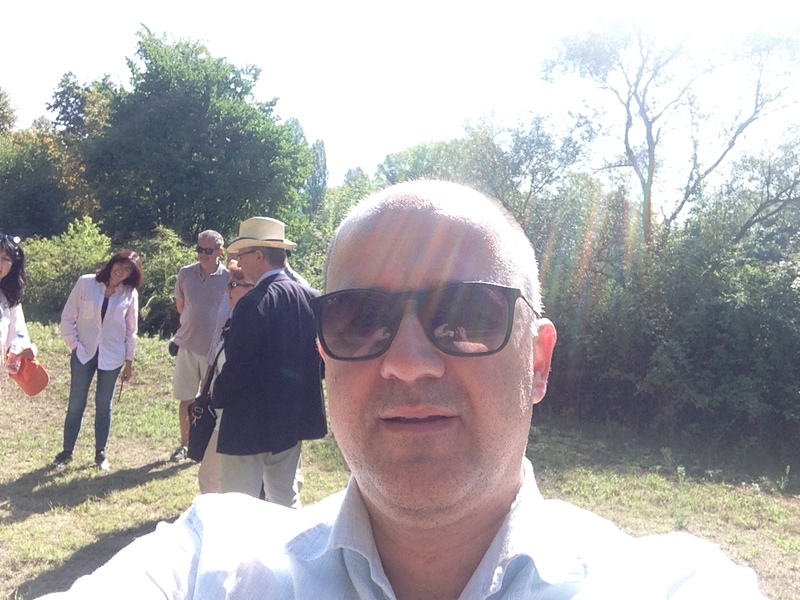 Sergei IGNATOV, Head of the Bulgarian Institute of Egyptology, New Bulgarian University, Bulgaria. Dimitris KERIDIS, Associate Professor of International Politics, Panteion University, Greece Senior Advisor, The Konstantinos G. Karamanlis Foundation Director, Navarino Network & Olympia Summer Academy Deputy Director, Institute of International Relations, Greece. Nicos KOMNINOS, Professor of Urban Development and Innovation Policy at the Aristotle University of Thessaloniki, Director of Urban and Regional Innovation Research (URENIO), Thessaloniki, Greece. Dragan LONCAR, Associate Dean, Faculty of Economics, University of Belgrade, Serbia. Elitsa PANAYOTOVA, Executive Director, Sofia Tech Park, Bulgaria. Remus PRICOPIE, Rector and Professor at the College of Communication and Public Relations at the National University of Political Science and Public Administration, Romania; Ex-Minister of Education of Romania. 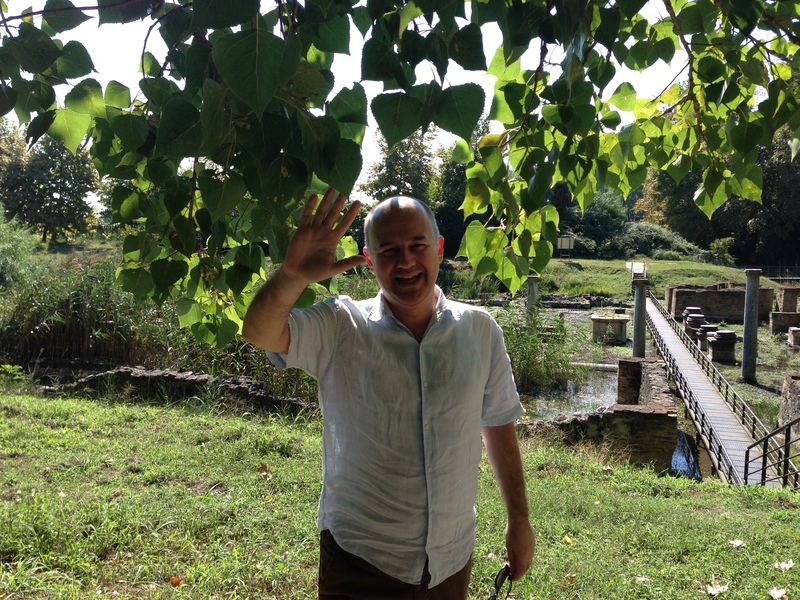 Slavo RADOSEVIC, Professor of Industry and Innovation Studies, School of Slavonic and East European Studies, UCL, UK. Tom RHODES, Head of the International Relations Office, The University of Sheffield, UK. Athanasios TSAFTARIS, Professor at the Aristotle University of Thessaloniki (A.U.Th. 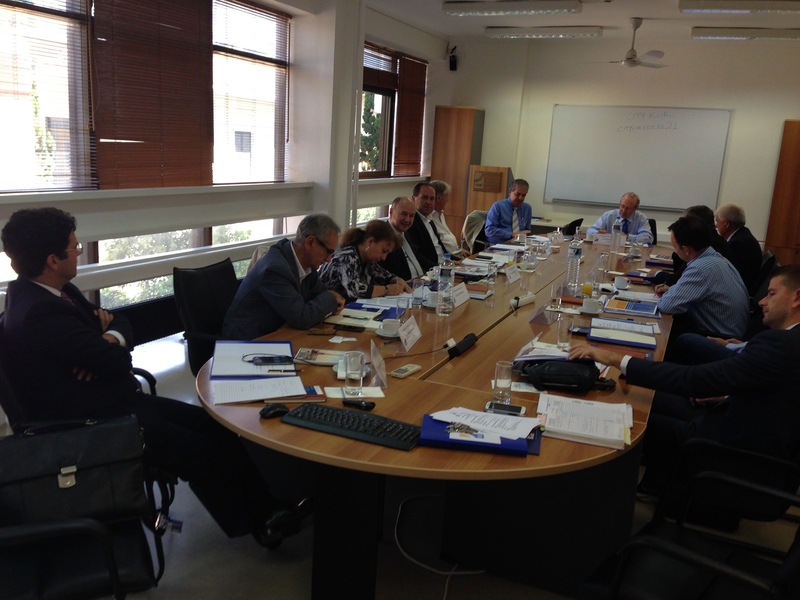 ), Member of the Board of Directors of Centre for Research and Technology – Hellas (CE.R.T.H.) and Director of Institute of Agrobiotechnology (IN.A.) of CE.R.T.H, Greece. Create, grow and maintain a large network of business angels and other early-stage investors, professionals, policy makers, technologists and innovators. Foster public awareness and understanding of the importance of a strong early-stage investment ecosystem for the economy. Advocate the needs of the Greek angel community towards the relevant local, national and international bodies. Adopt and promote, in cooperation with national and international stakeholders within the angel community, relevant market and business know-how, training and best practices through the provision of a common platform. Serve as an access point for foreign business angel networks and early-stage investors, for Greek business angels and for start-up investment opportunities as well as to connect local business angels with the international early stage investor community. Serve as a reference point for local business angels. Help the certification process of business angels in Greece. HeBAN is the Greek National Member of EBAN (European Trade Association for Business Angels, Seed Funds, and other Early Stage Markets) and the National Lead for Greece of GBAN (Global Business Angels Network). 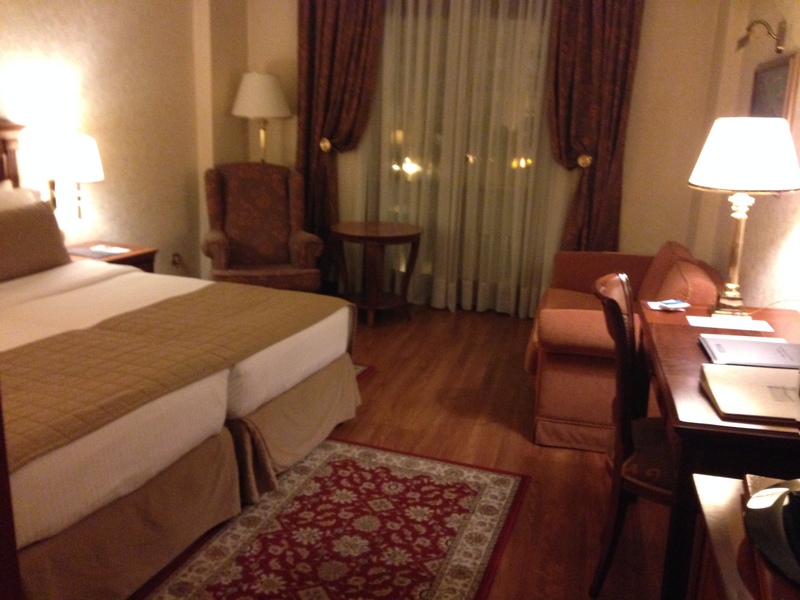 I was in Thessaloniki at around 9pm after a comfortable 60-minute flight from Istanbul. Andreas Bofinger, co-founder of HEBAN, was at waiting for me at the airport to take me to the welcome dinner of the SEERC, which was planned for 10pm at a downtown restaurant. 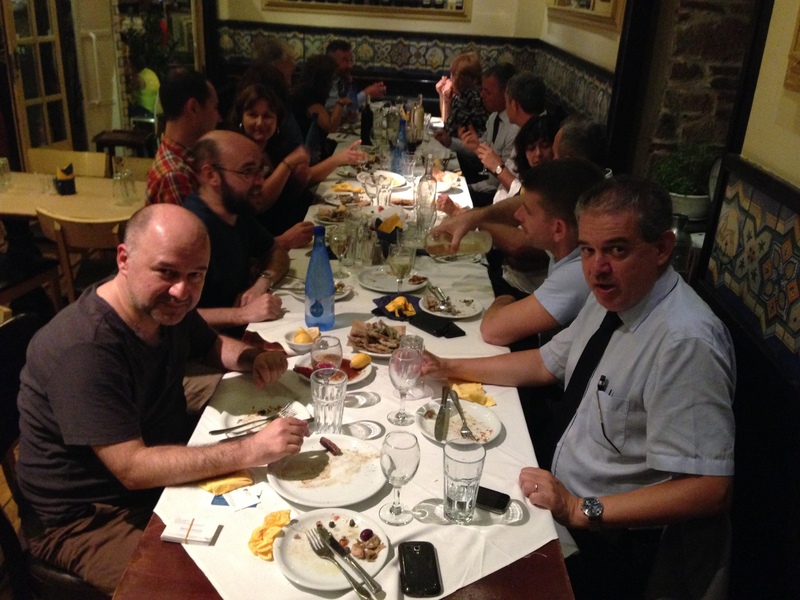 I enjoyed the dinner discussion with Nikos, the director of the SEEERC and fellow members of the advisory board. 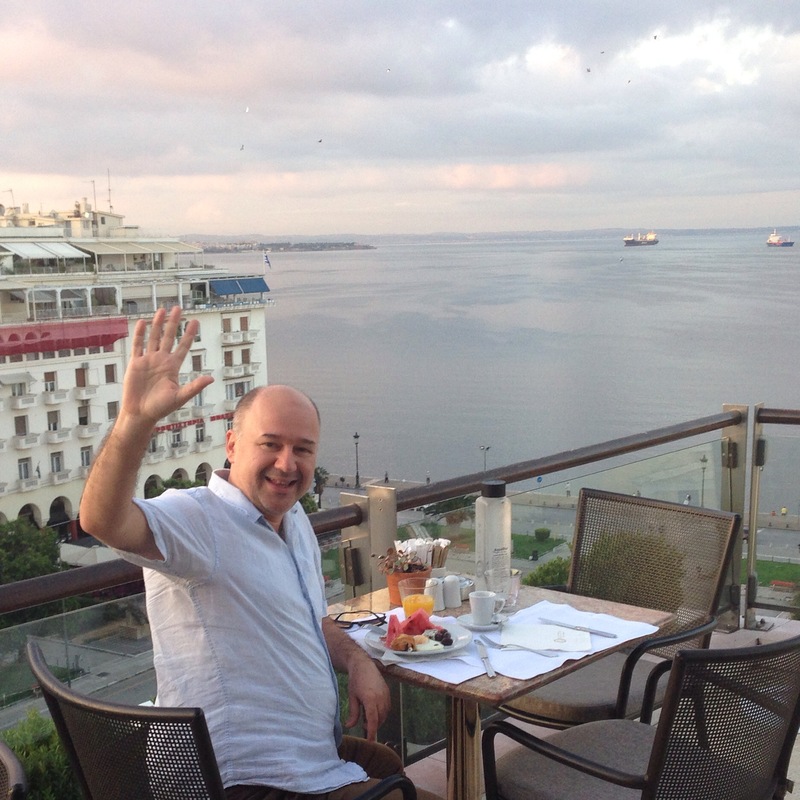 After a few hours, Andreas took me to the Electra Hotel, a wonderfully situated hotel with an excellent sea view. After an exquisite breakfast on the roof of the hotel, I met with Prof. Panos, Vice President of the London City College, and advisory board members from different countries. 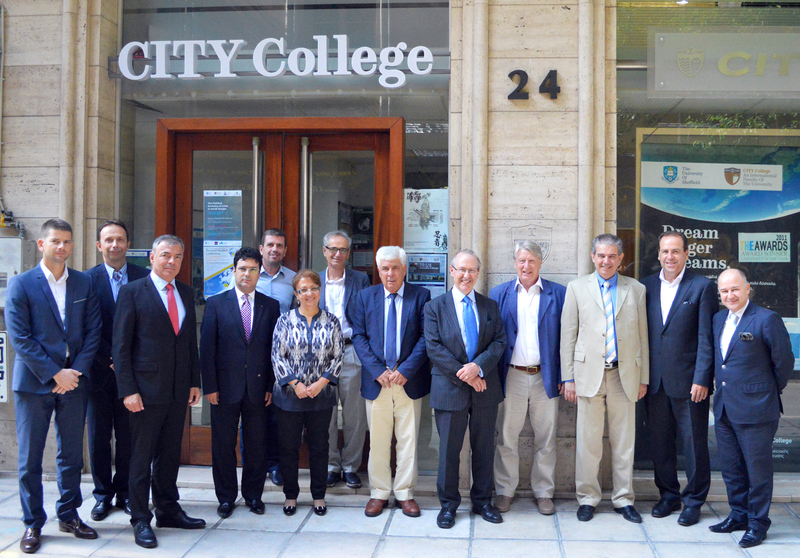 We went together to the headquarters of the London City College of Thessaloniki to attend the advisory board meeting. Lord Richard Best presided over the meeting, which started at 10am. He had come from London to chair the meeting. After an intensive 2-hour meeting, numerous excellent recommendations were made by various board members. I advised the executive committee to initiate a start-up stock exchange market to ease access to finance and create more liquidity for the entrepreneurs of South East Europe. My other advice was to set up different committees of SEERC, such as political, social, economic committees. Why is there a need for such kind of special expertise committees? The reason is very clear: Prof Dimitris Keridis, an Advisory Board Member, has written a book entitled The Historical Dictionary of Modern Greece. 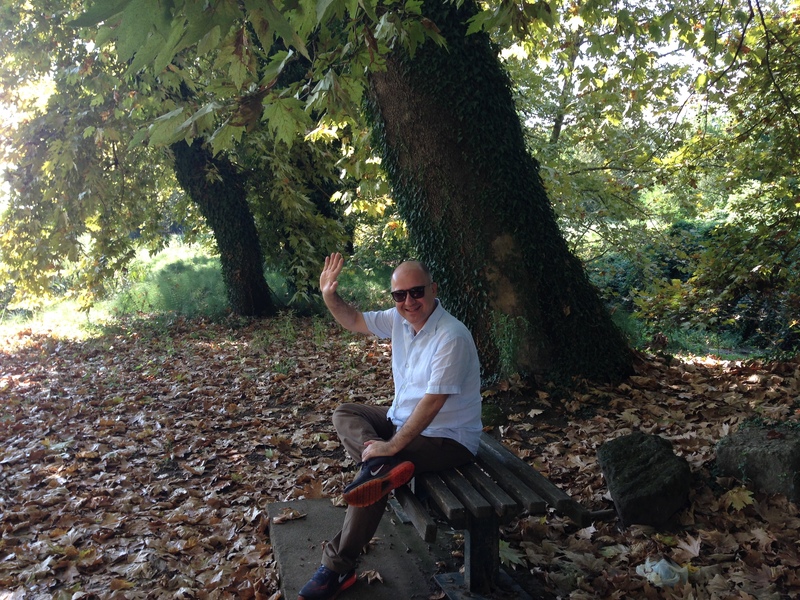 Baybars Altuntas, another advisory board member has also authored a book: Off the Bus, Into a BMW! It would be more beneficial, I think, if advisory board members with similar backgrounds came together to create a think-tank for South East Europe. After the meeting and lunch, Prof. Panaylotis Ketkidis escorted me back to the hotel, and this walk from City College to the hotel provided an excellent opportunity to chat about my Startup Compass Theory, a theory on launching a successful business from scratch by following nine different steps from wannapreneurship to angel investment. I was at the hotel around 2pm and I rested a little bit until 5pm, when Prof. Ketkidis collected me from the hotel to go to the conference venue, where I would deliver a keynote speech for the Thessaloniki angel investment community. It was a very nice 1-hour tea-and-talk event that also included an opening speech by Andreas Bofinger, co-founder of the Hellenic Business Angels Association. By the end of the meeting, it was clear there was a very strong desire to develop professional business angels in the Thessaloniki early-stage investment market. After the event, we all went to a nice Greek restaurant, where I had discussions with Lord Best and other board members of the SEERC. 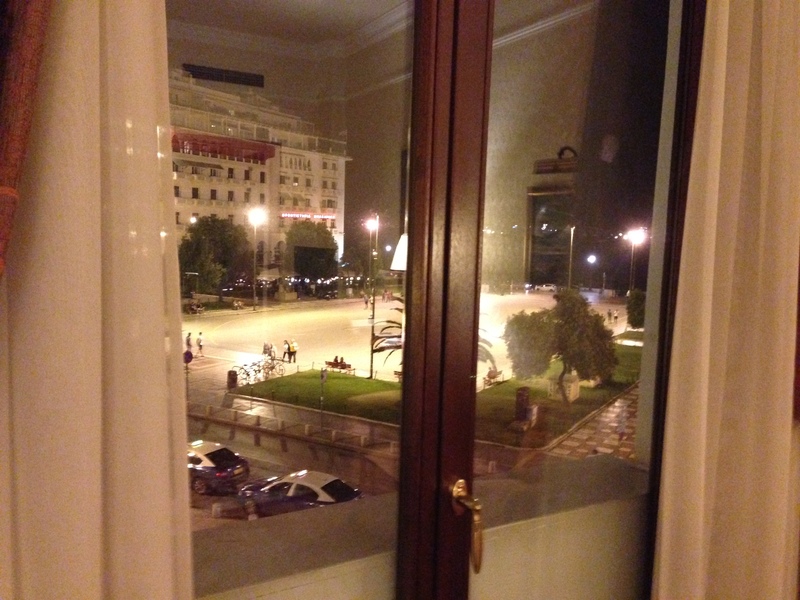 I was at the hotel around 11pm and immediately went to bed because we had to leave early the next morning for a sightseeing tour of Sirmus, the ancient city of Thessaloniki. 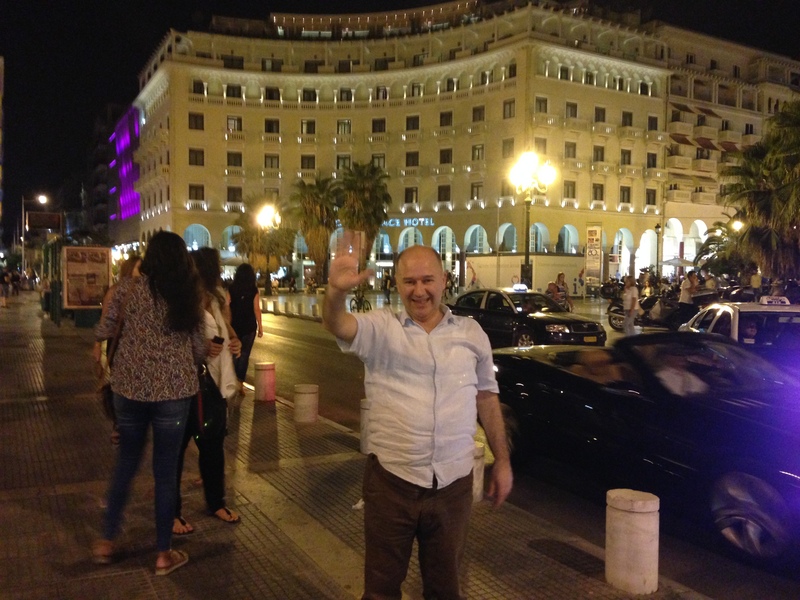 Prof. Panoss collected all advisory board members from the hotel at 9am, directing everyone to a waiting bus. He had organised a very nice tour from 10am to 5pm, including a delicious meal at a restaurant in a small town outside the city. The tour provided an excellent guide who answered all our questions and gave excellent information in great detail. Around 5pm, we were back at the hotel. I took a short and came back to the hotel to wait for my link. Because I was about to start hosting the BBC quiz show The Weakest Link in Turkey, the producers of the programme were to send me the first episode for my review by WeTransfer. I received the WeTransfer link around 7pm and it took approximately to 2 hours to download the episode to my laptop because the internet connection was a bit slow. While it downloaded, I took my own walking tour in the neighbourhood around the hotel. 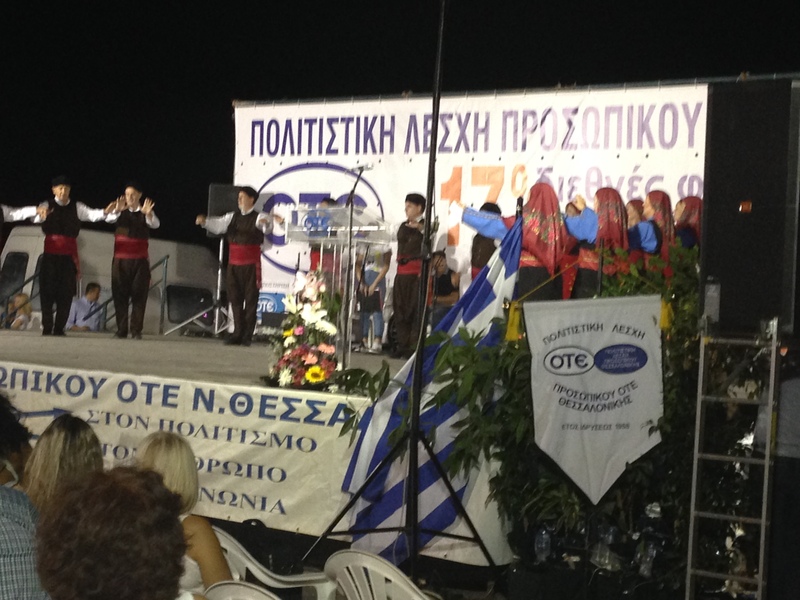 I enjoyed Greek folk dances on the street. Here you can enjoy a small part of it. Because the weather was exceptionally nice, everybody in the city was out, so it was a bit crowded downtown, even at night. I was back in my room by 10pm and immediately started to watch the first episode. I was very excited because it was first time I would watch it after the recording session. It aired for the first time on the 21st of September in Turkey. Good news! It is now in the top 10 rated programmes in Turkey. It became the 10th most-watched programme according to the Turkish Ratings Institute. Please visit the following link to see the rating list of the 25th September and find the words EN ZAYIF HALKA. It was then time to sleep, because my airport transfer would collect me from the hotel at 7.30am. I enjoyed an excellent breakfast at the roof restaurant of the hotel and I was in the cab at exactly 7:30am and at the airport by 8:00am. After completing my check-in, I went to the CIP lounge, where I met with Basaran Ulusoy, the President of TURSAB – the Turkish Travel Agents Association. If you read my bestselling book Off the Bus, Into a BMW!, you will read how I set up the TURSAB Vocational Schools in Turkey with Mr Ulusoy. He was in Thessaloniki to fund the renovation of Ataturk’s house in Thessaloniki. After a few hours of discussion, we took the same flight to Istanbul.